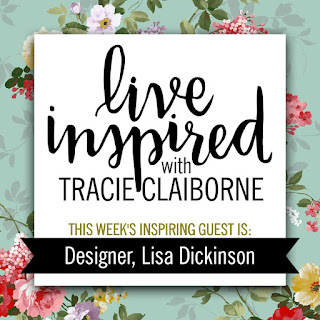 This week, my guest on the Live Inspired podcast is Lisa Dickinson. 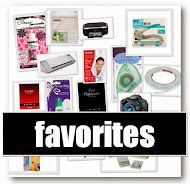 It was such an honor to have the opportunity to interview my all time favorite scrapbooker. Her work is so incredible! Lisa is a source of inspiration to so many and it's clear to see why in this week's video. I hope you'll catch my excitement about her work and be inspired to create your own layout inspired by hers! I based my project on one of my favorite layouts by Lisa. This page has a mix of patterns and I love mixing patterns on a page more than anything else scrappy. I love the movement of the page, all the little details and that glorious title, custom made by Lisa. You can see that this week I stayed pretty close to my inspiration source. It was fun to just relax and play. I didn't have to focus on the design too much...I already knew it would turn out great! So are you up for a challenge? 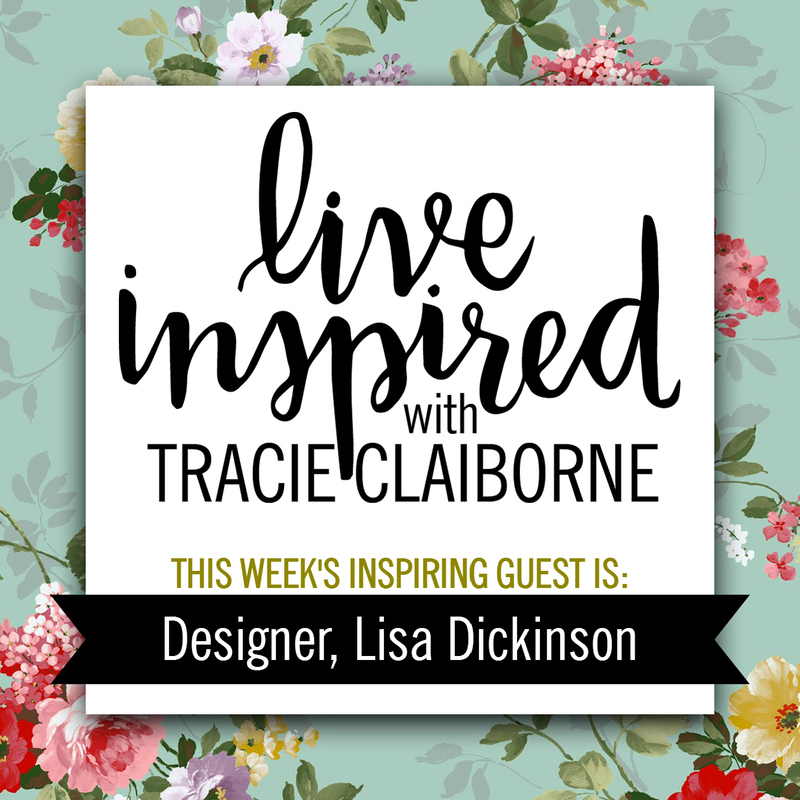 Make a page inspired by Lisa Dickinson's work and post it to your social media using the hashtag #liveinspirechallenge. We can do this! 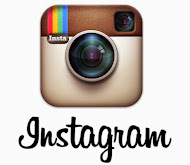 If you'll join me in this challenge, we'll make at least one page a week and won't that be wonderful? I think so! 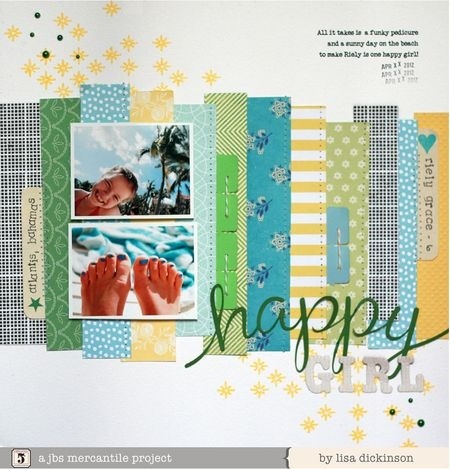 If you'd like to check out Lisa's blog for more scrapbooking inspiration, please do so. Please let her know how much you loved seeing her work and hearing her on the show! Now go and be crafty! 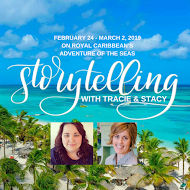 This is so exciting Tracie! I can't wait to sit down to listen to these podcasts and watch your videos! 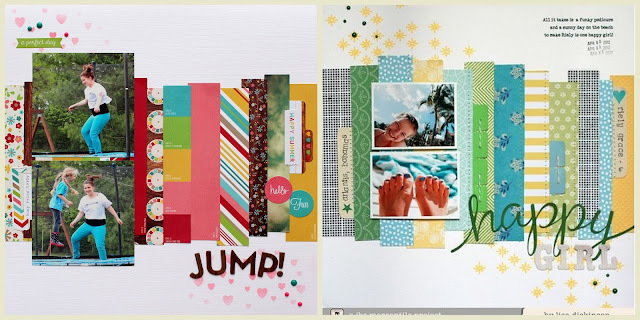 You are truly inspiring and such a talented scrapbooker :) Love these beautiful layouts! Very cool, Tracie! I can see Lisa's inspiration, but they layout is totally "you." I love the bright colors - they make the playful photos look more playful! I too love Lisa's style & pages!! I haven't had a chance to listen to the podcast yet but really enjoyed your video. Lisa is one of my favs too so I'm looking forward to your interview!